The guidelines require that contestants be under the age of 18 as of October 1, 2016 and attending school in the United States, Canada, or the Caribbean. Club winners advance to the District contest to compete for a $2,500 college scholarship. 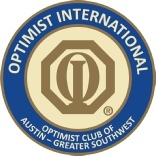 The District-level scholarships are funded by the Optimist International Foundations. 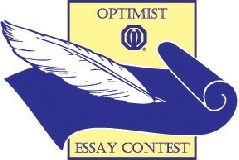 Topic for the 2016-17 School Year is: "Chasing Optimism in the Face of Challenges"
Who: Youth under the age of 18 as of October 1, 2016 located in the United States, Canada, or the Caribbean.